Should You Use Your Phone Plan, Local SIM Card, or a Global SIM Card When Traveling? Americans love to travel oversea. Most travelers won’t go without their cellphones and find they end up using them quite extensively. Gotta take videos and pictures to share, look up directions, and find the best local cuisine, right? Unfortunately, as handy as they are, using your cellphone while overseas can leave you with an unexpected, and unplanned for, expense. To give you an idea of the different network plans available to you while traveling, we have compared the benefits and drawbacks of using your phone carrier’s international plan, a local SIM card, or a global SIM card. This comparison will hopefully give you a better idea of which option is right for you, and eliminate any surprise bills when you get back home. It is convenient. You can continue to use your current provider, using the services that you are already familiar with. Because of the popularity of global travel, phone carriers are now offering international plans – some offer plans that you purchase by the day where you only get charged for the days you actually use your phone internationally – but check carefully as not all countries are covered, i.e., South Africa & Vietnam.For example, AT&T offers Passport Plans that start at $40 and go up to $120. Depending on the plan, they include unlimited text and multimedia messaging, unlimited data over Wi-Fi and 200MB-800MB of cellular data. Voice calls range from $.35/minute – $1.00/minute. If you are traveling to Canada or Mexico, it could be cheaper to stay with your current phone carrier. 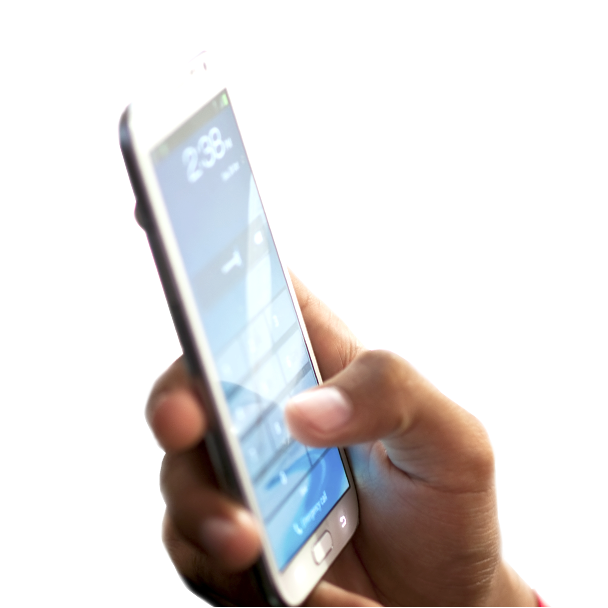 Because Canada and Mexico are two of the most called countries from within the US, several providers have added unlimited calling, texting and roaming features to these countries. (e.g., T-Mobile and Sprint) for a nominal daily fee. It can be very expensive. What starts out sounding like reasonable charges, can add up very quickly. For example, if you use Verizon’s $10 per day plan for 2 weeks while traveling abroad, you’ll quickly rack up $140 in extra charges. Even though providers have added Canada and Mexico to their plans, there can be restrictions, e.g., with T-Mobile you must be on their One Plus and Simple Choice plans. For other plans, there is an additional charge. Data overages come at a cost. Once you hit your limit on data, you will be charged an additional amount for each extra MB. If you use a lot of data that can quickly add up. In many airports, you’ll find convenient vending machines where you can easily and quickly purchase a local SIM card. 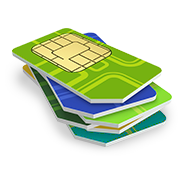 Look for vendors that offer SIM cards that come with adapters; that way you won’t have to worry about buying the right size SIM card for your phone. You’ll almost certainly save money over what your phone carrier offers. With a local SIM card, you also have a local number. Anyone calling or texting your US number won’t be able to call you without incurring long distance charges. Plus you can’t share your telephone number in advance and you can’t forward a US number to a foreign number. The instruction guide and support is often in the local language, which can be a challenge if you are not multilingual. You may not find a vending machine or electronics store in the airport. This means not being able to use your phone until you find a store where you can purchase a SIM card. All Smart Phones have GSM technology, although some like Verizon and Sprint still use CMDA in the USA, but switch over to GSM when abroad. Plan in advance and take time to configure your phone and test it before you leave. If you are with US Cellular in the Midwest USA, you are going to need a SIM card as your phone will not work abroad. For simplicity you may want to choose a rental phone for your trip with a SIM card already set up. With a Wireless Traveler global SIM card, you don’t need to have a separate card for each country you visit. International SIM cards work in over 170 countries. You will have a US number, so your friends and family can call you without incurring any international phone charges. And you can forward your regular US cell phone number so no one even knows you are traveling and you still get all your calls. They are typically much more affordable than a plan through a phone carrier. You’ll have low rates for calling, texting, and accessing data online. This is especially true if you are out for 7 days or more (at $10 a day with your carrier for 3 weeks that is about $210 compared to a $19 WT SIM card with $20 of airtime for about 1 hour of calling). SIM card companies offer prepaid, or preloaded plans, so that your card is active and ready to use once you land in your destination. You can also recharge your account online when it starts to get low, so that you never have to worry about not being able to use your phone. And, you know exactly what you are spending. If you use a lot of data, you can purchase a prepaid data plan that corresponds to your level of data use. 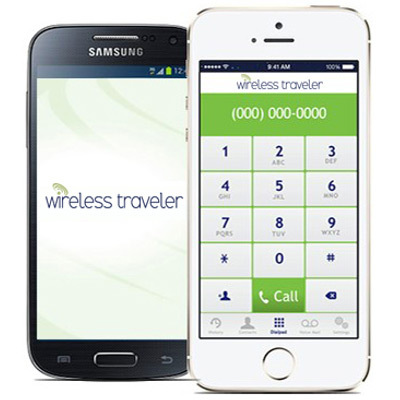 Wireless Traveler SIM cards offer free incoming text messages and voice calls start as low as $.27/minute to call the U.S.
You can get an all-in-one perforated SIM card that accommodates regular, micro and nano sizes so will fit into any smartphone – even share amongst your family for all your trips. This means you don’t have to hunt for the right SIM card to match your phone – or worry about not having the right size if you change to a different phone. Calls can be more expensive than on a local SIM card. 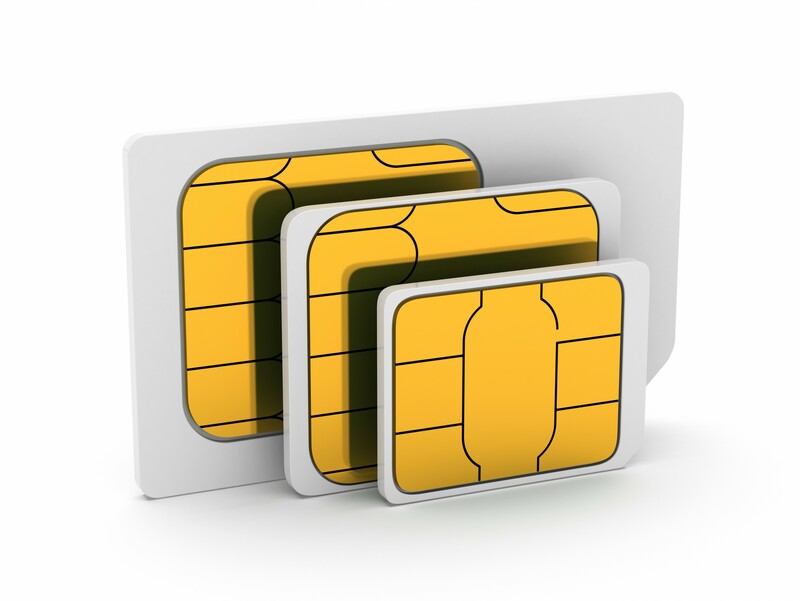 Global SIM cards may not support 4G data services. If you use a lot of data services, this slower speed may make a difference to you, or you can use the free hotel Wi-Fi and a pocket Wi-Fi when offsite.